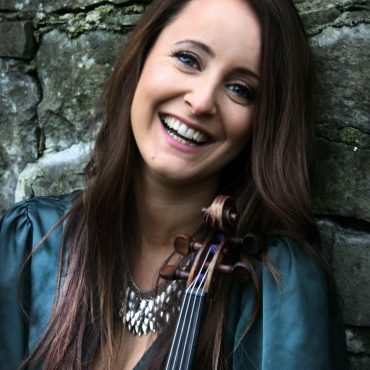 Niamh Dunne is a highly accomplished singer, fiddler and composer from Co. Limerick. A member of the world renowned band Beoga, with whom she has toured extensively and recorded 3 CDs, including the Grammy short listed “The Incident” in 2009. The Wall Street Journal describes them as “the most exciting new traditional band to emerge from Ireland this century.” They recently co-wrote and performed with singer Ed Sheeran on two songs on his new album ÷ (Divide), one of which, Galway Girl, has met with huge success reaching number 1 in Ireland’s download chart the week it was released and number 2 in the UK. Niamh has toured extensively on the world wide stage, both at home and abroad. Highlights have included Boston ICONS festival, Kansas City, Milwaukee Irish Fest, Tonder, Dranouter, Temple Bar Trad Fest, Germany’s Irish Folk Festival tour, Irish Unplugged tour of Holland, Guinness Christmas Austria tour, Cambridge Folk Festival, the National Celtic Festival in Australia and Glasgow’s Celtic Connections. 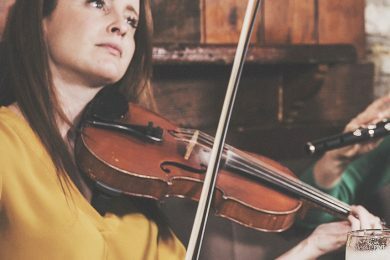 She began to play fiddle at the age of 4, and learned her music from Mickey Dunne, the well-known piper from Limerick who is part of a rich cultural heritage of traveling musicians. For generations, the Dunnes traveled the country playing fiddles and pipes at any social events (football matches, markets days, fairs), and had a rich understanding of the musical traditions of Ireland that existed all over the country, especially at a time when there were no recordings and this was the only means of transmission. Niamh has grown up steeped in music, song and tradition. She recorded a CD in 2005 with her Dad and sister, Brid, called Legacy, an album which celebrated the rich musical heritage that has been in her family for generations, as well as showcasing her singing and love of song. A well-respected classical violinist, she twice received the high achievers award from the London Associated Board of Western Art Music, with whom she is a qualified teacher. Niamh regularly teaches in The Limerick School of Music. She is also a graduate of the Irish World Academy of Music in Limerick University with first class honours.